The success and reliability of any finite element modeling (FEM) depends strongly on the constitutive law which describes the thermo-mechanical behavior of the machined materials. 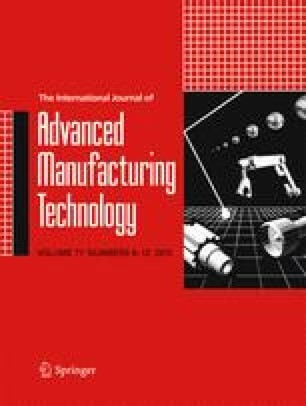 The constitutive model proposed by Johnson and Cook (JC) is widely used in the modeling of machining processes. However, different material constants of the JC constitutive law for the same material could be found in the literature which can affect significantly the predicted results (cutting forces, chip morphology, temperatures, etc.). These differences could be attributed to the different methods used for the determination of the material parameters. In the present work, an inverse approach based on response surface methodology (IABRSM) was developed to determine the parameters of the JC constitutive law. Three aluminum alloys (Al2024-T3, Al6061-T6, and Al7075-T6) were considered in the experiments, and specific attention was given to the effect of the rake angle. It is found that the material constants obtained from the proposed approach predict more accurate values of flow stresses as compared to those reported in the literature. Moreover, the FEM investigation has also shown a good agreement between predicted parameters (cutting forces and chip morphologies) and experimental ones when using material constants obtained by IABRSM.